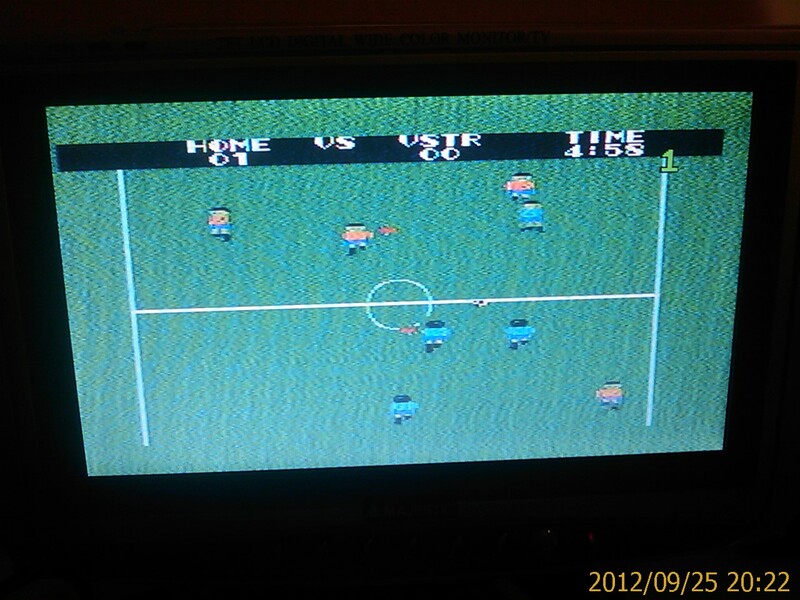 The mini TV that I brought with me, can display different TV standards, including PAL, NTSC and SECAM. 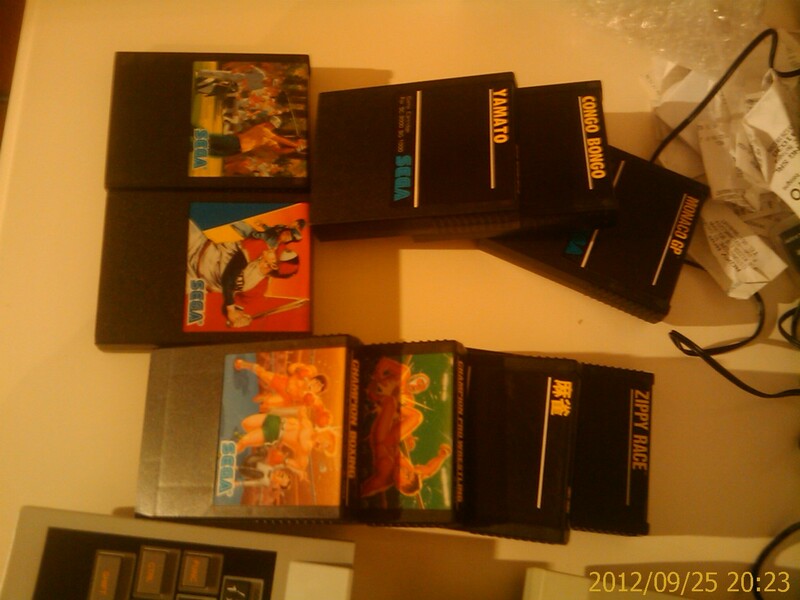 After entering the first cartridge into the console, I proceeded to switch power on and I started the automatic channel search. After three rounds for the various bands covered by the tuner (actually took only the UHF) and about 5 minutes of spasmodic wait… nothingness! Unfortunately I was not able to tune the channel properly, and the audio has been sacrificed in favor of an acceptable video quality. To tell the truth it neither satisfies me but, considering the situation in which I find myself today, I would say that I can be satisfied. 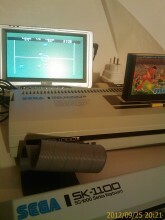 After my relieve, I tested a few games and the SG-1000 Mk2 attached joypads. 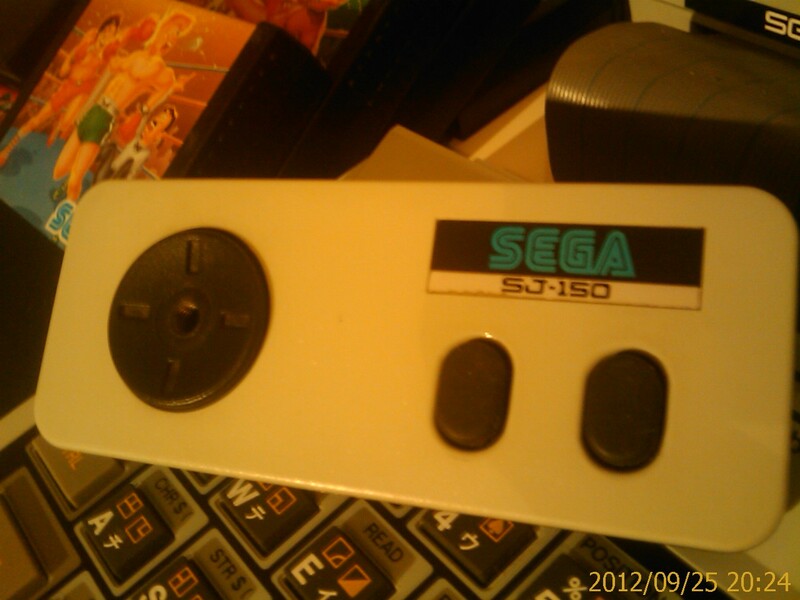 One of them does not work perfectly, and I will be forced to open it to clean any contacts or, and I think that's the real problem, restore somehow the conductor bonded to buttons' siliconic rubber. A little bit of tin foil, properly fitted, should do the trick. 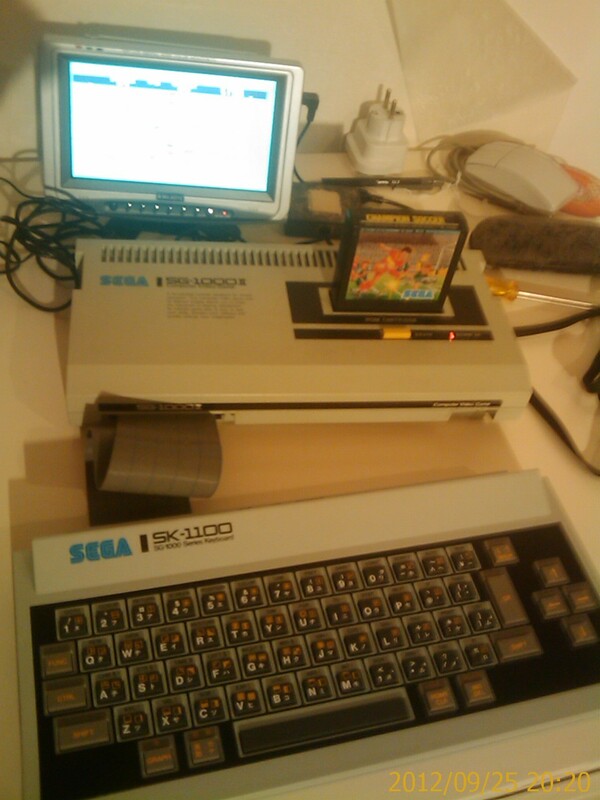 Once completed the joypads test, it was the turn of the fantastic keyboard, the SK-1100, specifically designed for this console, even if it can actually be connected to the Mk3 model, better known as the Sega Master System in Europe and the U.S.. 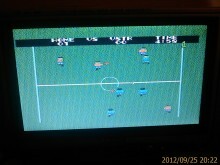 Some games can be managed via the keyboard, which is then used like a joypad, for two players too. In the games I have tested you can not redefine keys to adjust the ergonomics during the game, and in the long run can be tiring. Don't care! 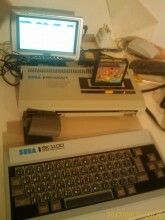 The SK-1100 is not designed as a gaming device, but to turn the SG-1000 console into a real home computer, like his brother SC-3000, which it shares with the layout and buttons colors. 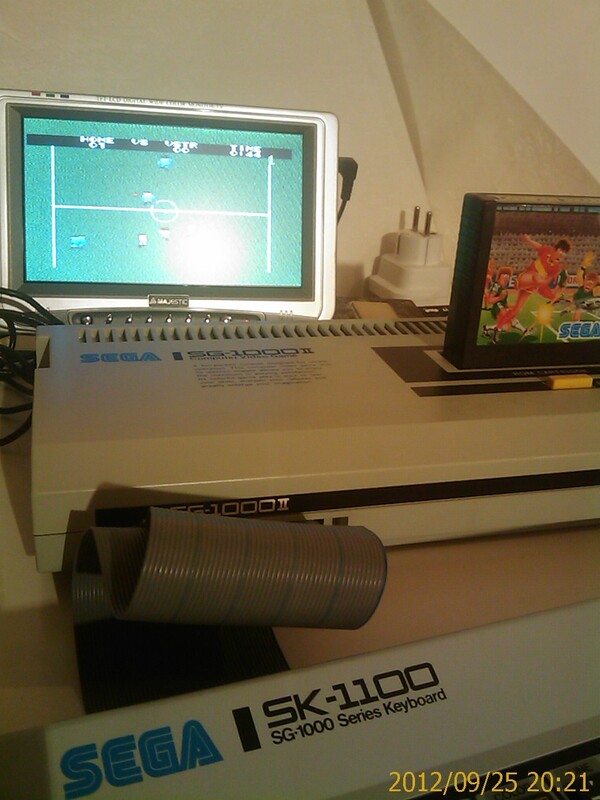 The shell is white instead, and mimics the lines of SG-1000 for which it was made. The connection is made through a delicate ribbon cable, such as those of the SCSI devices, that ends with an Edge connector to be inserted into the expansion bay, on front, left side of the console. 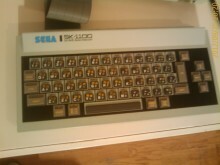 On the back of SK-1100 are input and output jacks to connect the cassette unit analog input and output.